This week’s interview involves a discussion of the English of the West Coast—and in particular that of Victoria, British Colombia. We often have a hard time distinguishing people from most parts of Canada (Quebec and the East Coast aside), and from Ontario to BC, the accents may appear on the surface to be roughly the same. However, Professor Alexandra D’Arcy studies Victoria English, and she has found that the similarities we see today weren’t so similar in the past. She studies the language diachronically, which means over a period of time—in her case a long period of time. If you do interviews in a community and leave, then you can’t discover the changes over time, except by comparing the older speakers to the younger ones, and by making assumptions about the differences the older people have from the younger. By studying Victoria’s English using recordings and interviews over more than a century of time, Professor D’Arcy can see the changes happening over the years through the voices of the people from the past. She was kind enough to explain how this all works, and how Victoria used to be a much more distinct accent than it is today. Michael Iannozzi : I think some people think of Canadian English as having two varieties: Newfoundland and everywhere else. How do you see English in Canada? Alexandra D’Arcy : Well, I see lots of diversity. East of Ontario we have Quebec, the Maritimes, and Newfoundland and Labrador (and of course, Newfoundland is defined by dialect variation). That entire area has a rich history, with various influences in terms of historical input—regionally, linguistically, religiously, ethnically. From Ontario to BC, however, things aren’t quite as undifferentiated as the rhetoric suggests. We forget that the cities are one thing but that the vast rural and semi-rural areas of the country are another thing entirely, and they contribute a lot to the story of Canadian English. Those voices get backgrounded, but that’s starting to change. More and more sociolinguists are getting out of the cities, and so our view of Canadian English is about to change. These are exciting times. MI : English has an enormous geographic area in Canada, so where would you say the varieties are? Is it as easy as dividing up the country? If it isn’t, why not? AD : That’s an interesting question. I think the answer is a nuanced one. There are broad regions, definitely—just look at the Atlas of North American English or Charles Boberg’s large-scale survey work. Some of those regions align with provinces, but others don’t. And then within regions there are smaller dialect boundaries, and so on. But of course, that’s the typical picture that emerges from researching dialects. The more detailed you get, the more you build features beyond sound into the picture, the more diversity you root out. So, the more work we do on Canadian English, the more regional angles we apply, the more diversified the picture will become. And of course, the emergence of archives of recordings spanning larger lengths of time is going to bring an entirely new perspective to our understanding of English in Canada. MI : Your work has focussed on the English spoken in Victoria, BC, and you have collected data spanning a great length of time. How much data do you have, what kind of data is it, and how much time does the data span? AD : Great question! I have about 300 hours of data—oral histories and sociolinguistic interviews. 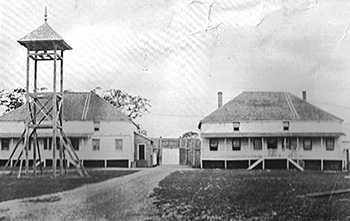 The oral histories come from two main sources: University of Victoria Libraries had some archival materials that I was able to acquire rights to, and then I was also able to secure rights to a subset of the Imbert Orchard Collection, through the CBC and the Royal British Columbia Museum (RBCM). Most of these recordings come from the 1960s, and we used the RBCM Archives to focus on speakers in the Imbert Orchard Collection who were born and/or raised in Victoria. So, between those two collections we have 42 locals, born 1865–1936. The bulk of the sociolinguistic interviews were conducted in 2012, with local Victorians. This collection has 162 speakers, born 1913–1996. I’m pretty proud of this corpus, actually. We have lots of first generation Victorians, but we also have second, third, fourth, five, and sixth generation speakers. I think that’s pretty cool. But, if you put the archival recordings together with the contemporary ones, you end up with a window on local speech that spans just over 130 years. So that’s exciting. We’re also very lucky because the University of Victoria Libraries holds the entire history of the local newspaper, which started as The British Colonist in 1858. In fact, the archives have been digitized through to 1920. After that, it’s into the microfiche files, but that’s fun in its own way. But what this gives us is complementarity of data. We have the spoken record, through the recordings in my lab, and we have a formal written record, through The (British/Times) Colonist. This gives us additional insight to the history of the variety. MI : What have been your findings about Victoria English? AD : Victoria English today isn’t strikingly different from what you hear in Vancouver or Toronto. Some locals tell of being asked where they’re from when they visit other places, but there’s no signature in their speech that indexes or registers ‘Victoria’, locally or otherwise. However, there was a time when a certain sector of the population had a distinctive accent. I call it Victoria Dainty, but on the island it’s known as ‘The Van Isle Accent’. It comes from the posh private schools, established and run by English Reform teachers, which served to entrench English norms and—as one scholar framed it—allowed the children of immigrants to ‘grow up English’. You still hear this accent in Victoria, but the speakers are all in their late sixties and older now. It’s truly an obsolescent variety, and to get a sense of how unique it is, most Victorians don’t realize that they’re speaking to another local when they talk to these people. In fact, many are surprised when I tell them this accent exists and are astounded when I play recordings. They really are something to hear…we’re talking in some cases third and fourth generation Victorians. As to contemporary Victoria English, well, the picture is quite complex, but I don’t think that’s particularly surprising. For some features, like the introduction of direct quotes, Victoria English is no different from Toronto English, or Perth English in Australia for that matter (e.g. I’m like ‘No way!’). But some aspects of local speech make us truly Canadian, like general extenders (e.g. I like art and stuff like that) and the way the vowel in words like goose is pronounced with the tongue more forward in the mouth. But of course, there are also things that seem to set Victoria apart. Whereas most Canadian dialects shifted pretty early on to words like tube pronounced as ‘toob’, Victoria English tends to keep the older pronunciation,’tjoob’ [the British pronunciation]. MI : Has the English of Victoria changed over the decades, and if so in what way? Has it moved closer to or further from what we would consider “Standard Canadian English”; that is the English of Central Canada [Also known as CBC English]. AD : In a very fundamental way, Victoria has always been part of the General Canadian dialect region. The greatest proportion of settlers and immigrants has consistently been other (i.e. Loyalist and Loyalist-descended) Canadians. But, Victoria wasn’t erected as a seat of government or trade—it was erected to establish a colony where the children of English immigrants could maintain their ‘inalienable heritage’ as British subjects. In other words, there was some pretty heavy ideological baggage in the city’s roots! In so far as moving closer to, or away from, General Canadian English, well, that’s hard to say. The target is moving, because of course, change is ongoing and constant. Victoria participates in those changes, but the devil is in the details. Does the city participate in the same way, with the same end result? That’s something I’m going to leave hanging for now. MI : If you could go back and collect something extra about the data you have from the past, what do you wish had been collected? AD : It would be great to know how long those people’s families had been in Victoria. For the contemporary recordings we know that we have first to sixth generation Victorians. That’s a super informative angle, but unfortunately it’s very difficult to track with the older data. Most of the speakers were likely first generation, but it’s possible that some are second and third generation. When did their families get here, and where did they come from? MI : Have the subjects covered in interviews changed over time? MI : In light of the current use of social media, YouTube, television news, etc. Do you think projects such as yours will be easier or more difficult in a hundred years? AD : Thanks to the Internet, there’s no doubt that potential sources are multiplying, but it all comes down to what your research questions are. At the end of the day, they’re what determines what is usable and what is valid, empirically. A lot of online content is accessible (and let’s assume that we are talking about content that is genuinely public and available for data mining), but that does not automatically entail that it is appropriate and justifiable given the aims of the research. And frankly, without detailed information about the speakers, the information-load of the materials is hampered. Give me an old-fashioned oral history any day! MI : If someone from the turn of the 20th century Victoria sat in a coffeeshop today, what would most strike her about the English in Victoria today? AD : I think their largest impression would be ‘What is this? Why does it sound so horrid? It’s not proper!’ Of course, I don’t believe any of this and I don’t agree, but nobody likes language change—it’s never “for the better”. On top of that, beliefs and impressions about language are inextricably linked in beliefs and impressions about people. And let’s face it, even the most “respectable” elderly women wear pants these days, so just imagine the reaction to early 21st century adolescents, the very same group that is responsible for “ruining” the language more generally! MI : Do you have a recording or interview that is your favourite? A person who you like best from the recordings? If so why? AD : I actually don’t. There are stories and exchanges that really capture me, but not individuals per se. Of course, some of the recordings are less engaging than others, but that’s human nature. Generally I find that if you take the time to listen, and I mean really attend to what is being shared, most people have interesting and compelling lives in some respect. Everyone has experienced joy, sadness, anger, love—the stories around these experiences are funny or heartwarming or heartbreaking. Not everyone is an accomplished story teller, but between the lines is life. Mostly what I feel is lucky—lucky that I got the opportunity to listen to people. A sincere thank you to Professor D’Arcy for taking the time to talk about her fascinating research. It may not seem important at the time, but the interviews that take place with family, friends, or people on the street, may end up becoming important tools for linguists, sociologists, and others to study the way things once were. Recording family members’ stories, and having them discuss the stories of their life will make an important piece of your family history, and a cherished record of your family’s past. It may also someday help someone like Alexandra D’Arcy learn about the history, culture, and community of which your family is a part. When someone thinks of French in Canada, their first thought is usually of Quebec. If pressed to think of another French-speaking part of Canada, many will think of Acadian French (the French spoken in New Brunswick and other parts of the Maritimes). However, more than a million Francophones live outside Quebec, and half a million live in Ontario. Professor Terry Nadasdi (University of Alberta) has done a great deal of research on French in Canada, and in particular in Ontario and the Prairies. There is a distinction made between Acadian French and what is called Laurentian French. 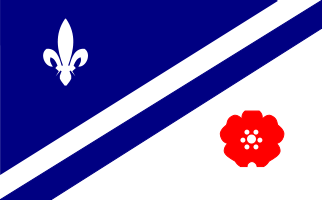 Laurentian French is the French of Québec and the French spoken in Ontario and the Western Provinces. However, Professor Nadasdi has found that the French spoken in Canada isn’t the same everywhere. In particular, he argues that, outside Quebec, Francophones are always in the minority in at least the province, if not the community itself. This distinction makes the French in these communities different from that spoken in Quebec. Because most French-speaking communities are in the minority, they are also rarely monolingual—they need to speak English to at least some degree in order to function in their communities. 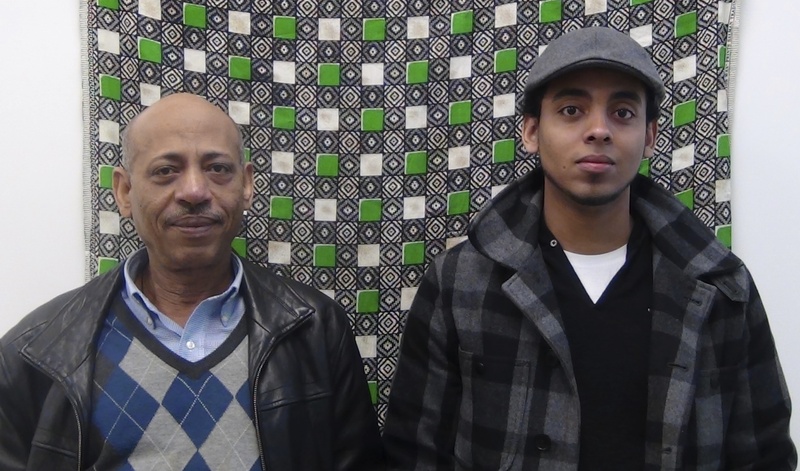 Professor Nadasdi is interested in finding how this knowledge of English impacts the French spoken by these minority communities. He was kind enough to answer some questions I had about Laurentian French outside Quebec. Michael Iannozzi : What first brought you to study Laurentian French outside Quebec? Terry Nadasdi : My interest in French outside of Quebec stems from my interest in bilingualism. For the most part, minority French and bilingualism go hand-in-hand. Since my background is in sociolinguistics, the topic provides me with an interesting opportunity to study both language use patterns of bilinguals and the impact of these patterns on linguistic forms. MI : Why is it important to study the French spoken outside Quebec, and how do you expect it to differ from that of the major Quebecois cities that are often studied? TN : The context in which the varieties are used is different, so we can expect some linguistic differences (related to bilingualism). That said, there will always be more similarities than differences, given that they are both Laurentian. It is important to study French in minority settings for a variety of reasons. 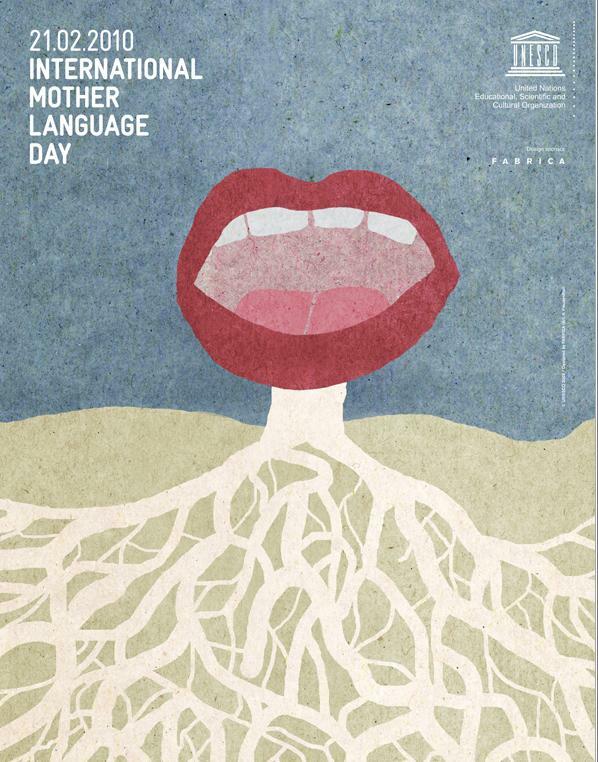 First, it gives us insight into the language of bilinguals and gives credibility to the variety. Minority varieties are often stigmatized and performing research helps legitimize them and also reveals their complexities. MI : Why is it important to study rural varieties and Franco-Ontarian? TN : I think it is generally important to study minority varieties for the reasons outlined above. It gives them legitimacy and provides information about the range of variation in Canadian French. Another reason would be to provide resources for second language learners who will interact with Franco-Ontarians and also to allow the Franco-Ontarian education system to determine the extent to which the local variety differs from the standard one (i.e. the one used in schools). MI : Why is it important to study rural varieties and Franco-Ontarian, and how do you expect, or how have you found they differ from Quebecois French? TN : I guess the most important aspect is that bilingualism is central to their identity. Many speakers don’t consider themselves entirely French or English. This is generally viewed as positive. I don’t mean they are not linguistically competent in both, but rather their identity involves both simultaneously. Identify has to do with how you represent yourself when interacting with other, how you want them to see you. For example, some speakers purposely use anglicisms when speaking French to remind the listener that they are bilingual. MI : What is the general health of French outside Quebec, and what do you feel is the best way to promote the use of French outside of Quebec in Canada? TN : French is fairly well supported on an institutional level. However, monolingual Francophones are rare indeed. Immersion schools are highly effective, and in some regions help maintain French. Ideally, Francophones would always have their own schools. However, there are practical (financial) factors that limit this. Immersion schools are the next best thing. Access to education and cultural events are key to promoting the use of French outside Quebec. It’s also important to have media in French that can bring community members together. MI : You have done a lot of work on minority French communities, how does the population makeup of a city or town affect the French usage and style of speakers? TN : Generally, the more Francophones there are at the local level, the more the kind of French spoken resembles that of monolingual Francophones in Quebec. Furthermore, speakers in such communities have a better grasp on both the formal and informal registers. When there a few Francophones, the school becomes the main place where French is used and some informal variants fall by the wayside. MI : Finally, is there any perception of French speakers outside Quebec that you’d like to clarify or change? TN : Some believe that minority speakers have a poor mastery of both English and French. This reveals, though, a poor understanding of bilingualism and non-standard speech varieties. Regarding the study and discussion surrounding French-language education in many provinces outside Quebec, the students of French-immersion schools are expected to learn, and speak, the Quebecois variety of French—even if they are already fluent in French, but just in an Ontarian or Prairie variety of it. There has been a great deal of discussion around the importance of letting students feel validated in speaking their own variety of French. In almost all language communities, there is a perceived “correct” way of speaking, and the other dialects or accents are considered substandard. Professor Nadasdi’s work is aiming to correct this perception. By providing research and statistics to these varieties of French, there is scientific evidence that the French isn’t subpar or of lower quality. This effort is especially important because language is a part of identity. When older Francophones are asked how they identify they will likely say “French” or “French-Canadian”. However, younger speakers, who have grown up speaking both national languages, now often self-identify as “bilingual”. They feel that their ability to speak both French and English is not just a skill, but a part of who they are. A sincere thank you to Professor Terry Nadasdi for taking the time to answer my questions and explain Laurentian French outside Quebec. Just as in English, where there have been stereotypes around “valley-girl”, southern American, or Newfoundland English dialects as being less intelligent; there are also stereotypes surrounding French accents. It is important to remember that the way someone speaks has no bearing on the validity or intelligence of what they are saying.